The longer the curtains, the more dramatic and elegant the design. In this master suite sheer loose linen drapes frame the queen size bed as well as the bay window. When trying to design a casual and more informal space, try using shorter curtains. Curtains can be extremely decorative. Use them to add a touch of personality to your space. Long curtains, such as these lightly patterned neutral fabrics, will add height and bring drama to your decor. 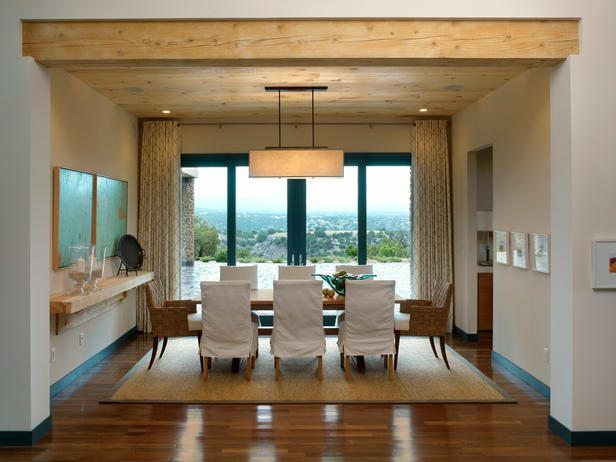 Simplistically designed, this dining room is styled with handcrafted furnishings and neutral fabrics and accessories. 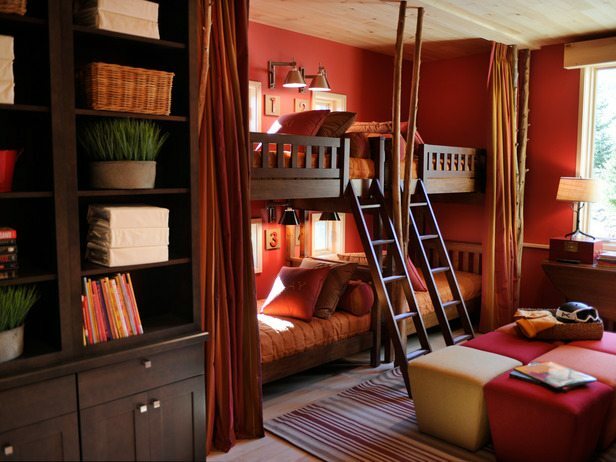 This brightly painted kids’ room designed for HGTV Dream Home 2010 is both colorful and lively. The rustic red walls scream high energy alongside the two-toned sliding curtains. 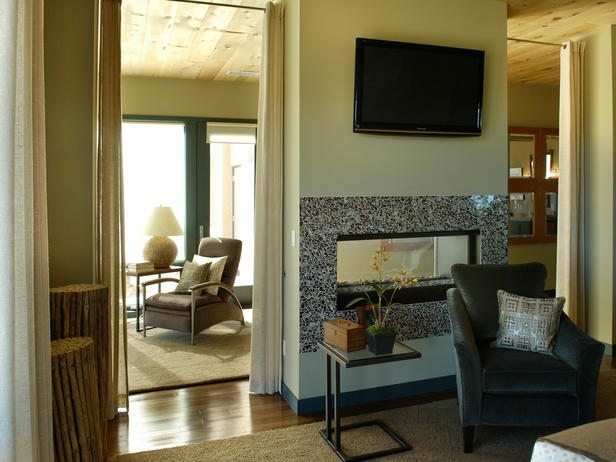 Placed on a track, the drapes can be easily extended at night to provide privacy, as well as insulation on cooler nights. Drapes are not just for windows. 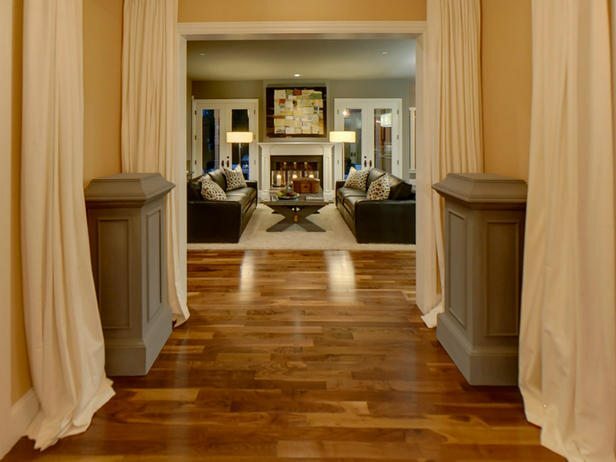 In this formal foyer the drapes enhance the architecture while making a stylish statement. Placed alongside the architectural posts, the flowy cream curtains create a dramatic entrance, leading you from the front door into the family room and kitchen. Curtains make great room dividers and can be adjusted to your preference. They can be pulled back with ties, pinned apart or simply allowed to hang freely. In this master suite the cream-colored curtains make the perfect divide between the bed and meditation area. Use them as a simple way to define different areas of your home. With an endless array of patterns and styles, you can be sure to find a curtain design that fits your personal decor. 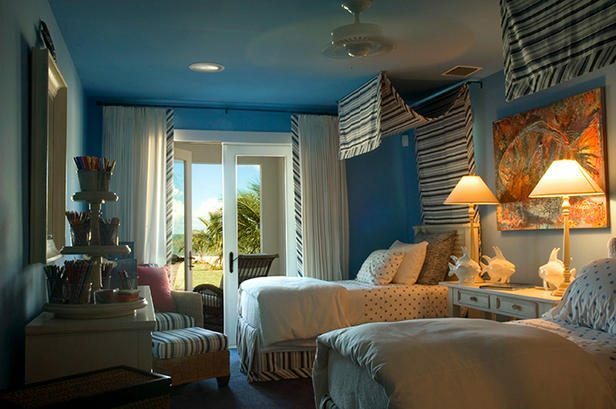 In HGTV Dream Home 2008, a striped fabric is used for the curtain trimming as well as the kids’ overhead bed treatment. Dressed in a mixture of patterns and textures, this bedroom is youthful and fun.